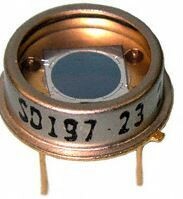 Advanced Photonix is a key supplier of position-sensing detector technology. The ever increasing bandwidth requirements and need to maintain precise alignment in free space optical communications drives Advanced Photonix custom quad position-sensing detector solutions. The internet of things continues to expand it’s already immense possibilities and fuels the required globalization of internet access. Advanced Photonix position sensing detector solutions offer the optimal intra area gap, thus ensuring the highest positional accuracy available. Quad cell position sensing solutions are offered in both Silicon and InGaAs base materials. Call us today to see how we can help you maximize the performance of your position-sensing application.